Home / -Preview- / Ann Wilson / Heart / Preview / Preview: Ann Wilson to Salute Favorite Songs and Artists on "Immortal"
Preview: Ann Wilson to Salute Favorite Songs and Artists on "Immortal"
For the new release, Ann has teamed with original Heart producer Mike Flicker (Dreamboat Annie, Magazine, Little Queen, Dog and Butterfly and Bebe Le Strange, among others). 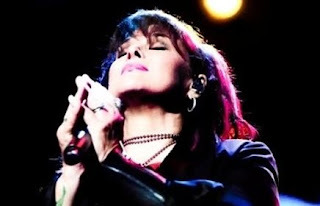 Look for the iconic Rock and Roll Hall of Fame inductee to perform some of the album's songs when she tours North America this summer with Jeff Beck and Paul Rodgers for the "Stars Align Tour" . The songs will also be featured in Ann's first-ever solo television special (details TBA), taped this past April at the Arcada Theatre in St. Charles, IL, to coincide with the album's release. The finely etched tracks that comprise Immortal cover a lot of musical ground, with many highlights including songs by Leonard Cohen ("A Thousand Kisses Deep"), Amy Winehouse ("Back to Black"), David Bowie ("I'm Afraid of Americans"), Lesley Gore ("You Don't Own Me") and Tom Petty ("Luna"). Ann says the criteria for choosing this collection of songs was easy. "First of all, I had to LOVE them! They had to be songs I could get inside of authentically as a singer. Lyrics are important to me but the most important thing is always the marriage of words and melody that makes the song magic!" With sexism at the forefront of the national conversation, Ann says this did factor into the inclusion of "You Don't Own Me." "'You Don't Own Me' was originally an early feminist anthem in the 1960's and '70's. Since then the idea of self possession has grown to be more universal...This song is about refusing to be objectified and owned. By anyone." Immortal includes some very special guests as well. "Warren Haynes plays on Tom Petty's 'Luna' and 'You Don't Own Me,'" Ann reveals. "Ben Mink is featured on Leonard Cohen's 'A Thousand Kisses Deep' and Amy Winehouse's 'Back to Black.' They are both musicians and great people whom I admire. It's always a pleasure and an honor to work with them. Their souls shine through on these songs!" Producer Mike Flicker brings an important element to Immortal. "Mike was the first producer to believe in me," Ann says. "He was my first teacher in the studio and knows how to provide that special support needed to bring out my soul in the recording process. It is exciting to work with him for the first time since 1980. I have traveled many, many miles since then but the old feeling is still there and fresh on Immortal. He has fearlessly helped me bring my ideas to life once again and it's been a great collaboration."